Looking for a funny St Patrick’s Day shirt that’s right to the point and perfectly appropriate for any festive Irish setting? How about the This is My Drinking Shirt from Guerrilla Tees? We did this one up with a Heather Green design and vintage-inspired white graphics, making it a superb choice for the holiday or social drinker who prefers to keep things on the simpler side. 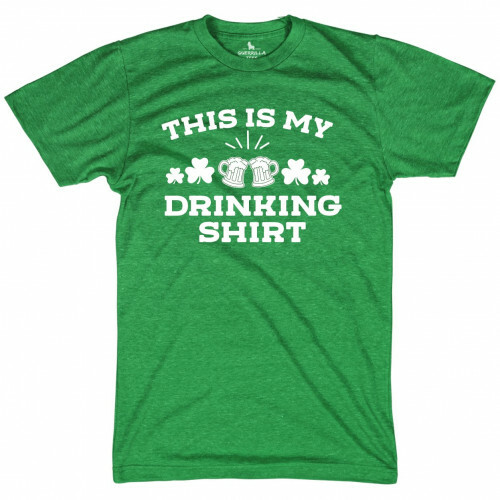 Wear it proudly to this year’s St Patrick’s Day celebrations, at the local bars or give one as a gift to your fellow binge drinkers who keep you in good spirits! 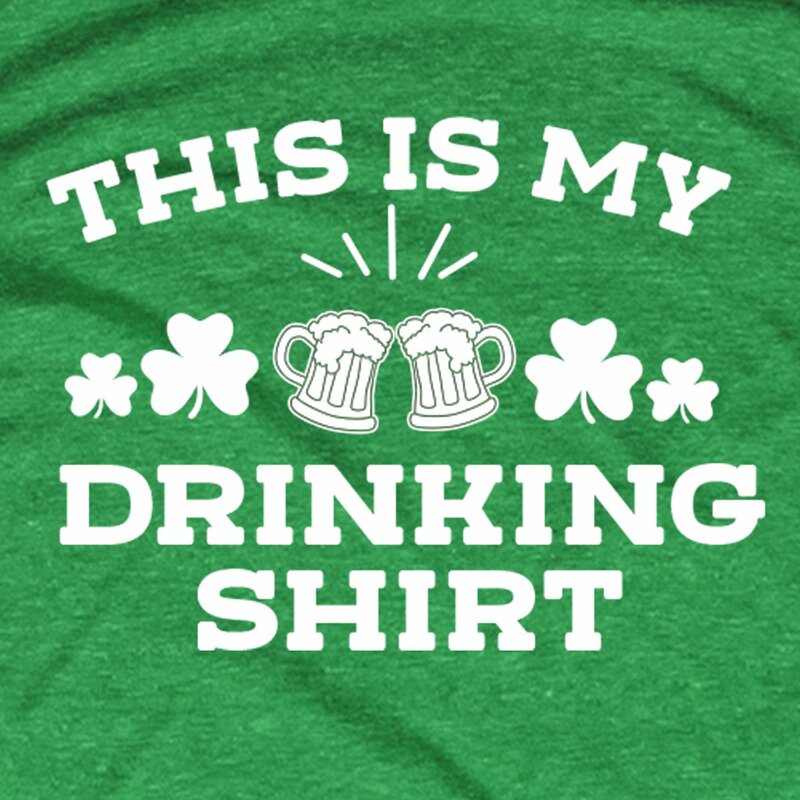 Need more ideas finding the perfect shirt for St Patrick’s Day? Check out Guerrilla Tees complete collection of funny drinking t-shirts for men and women and keep things fun!